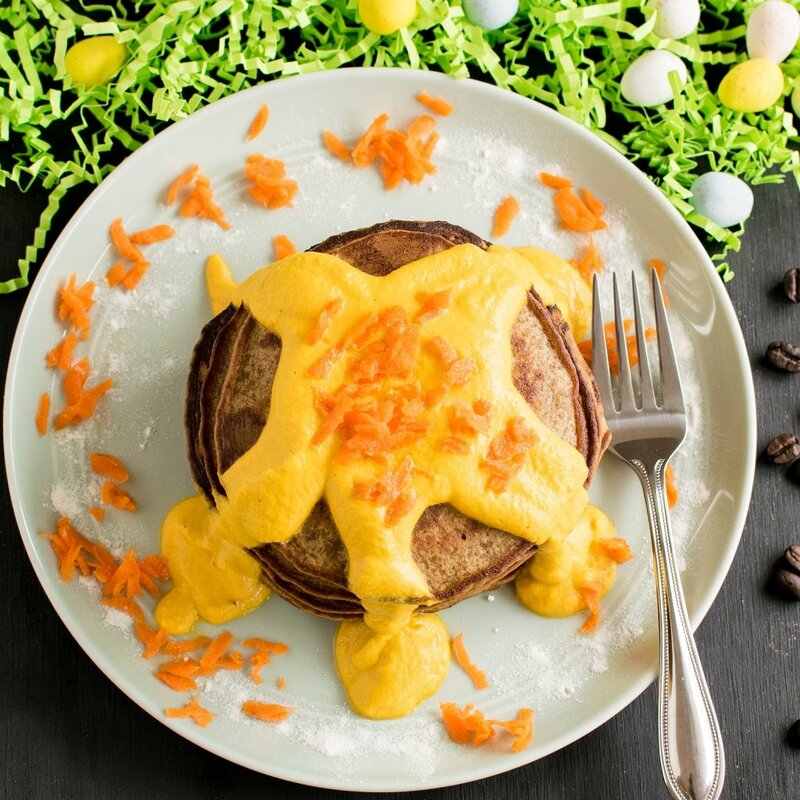 Coffee Quinoa Pancakes with Carrot Frosting are moist, fluffy and a satisfying morning meal. Rich in protein and other nutrients these pancakes are bursting with flavors. They are so perfect for Easter mornings. 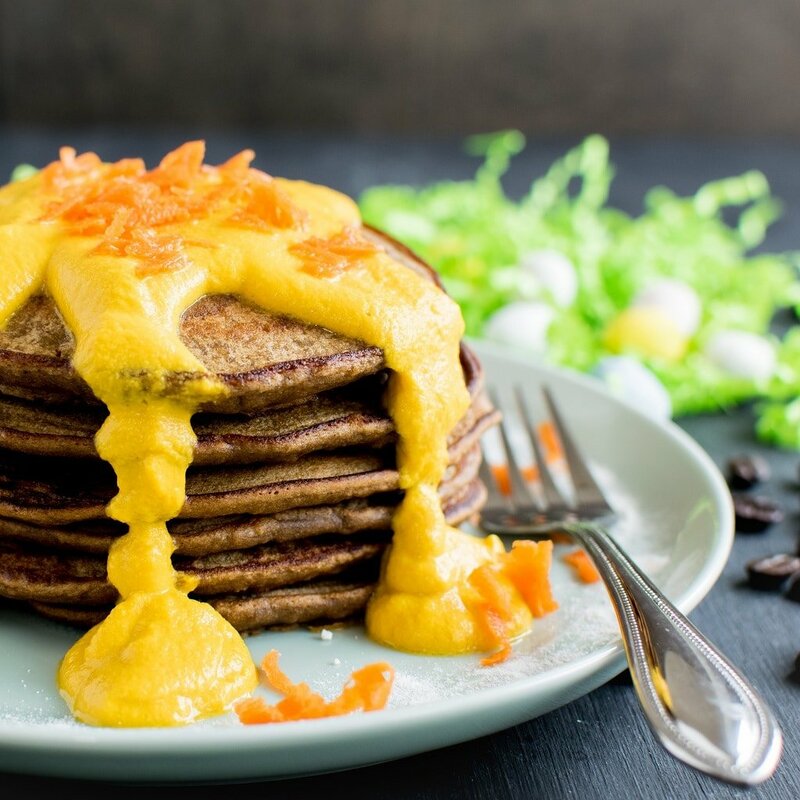 These pancakes have a subtle flavor of aromatic coffee and a strong taste of quinoa, mellowed down with sweet carrot frosting. These hearty and flavorful pancakes are made with easily available ingredients and gets ready in about 25 minutes. In the first step, I combined all the dry ingredients of the pancake in the mixing bowl. Next, I combined all the wet ingredients ( including mashed banana) in another mixing bowl. Next, I whipped up the batter by mixing the dry ingredients and the wet ingredients together. Then, in a warm griddle/pan started pouring about 2 tbsp of the batter on it. Let the pancakes cook until light brown. Then I flipped it over with a spatula and cooked again until golden brown in color. However, these pancakes are yet incomplete without the carrot frosting. 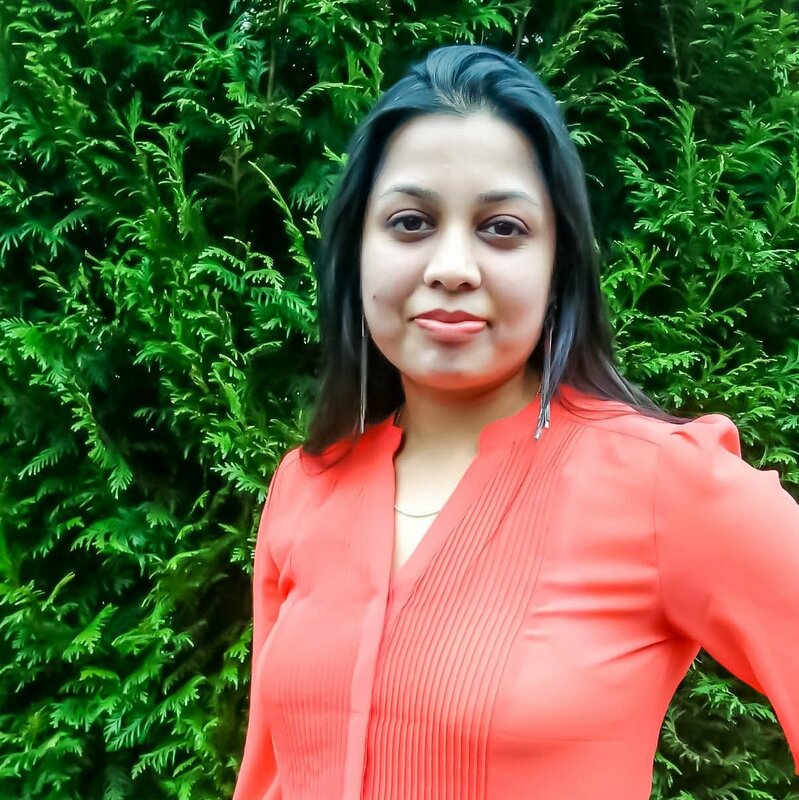 Like Yashvi always phrases her sentence ‘You know why?” Because, it’s Easter weekend!!!! Bunnies want some carrots on the table. So, my little bunny is crazy about carrot frosting. 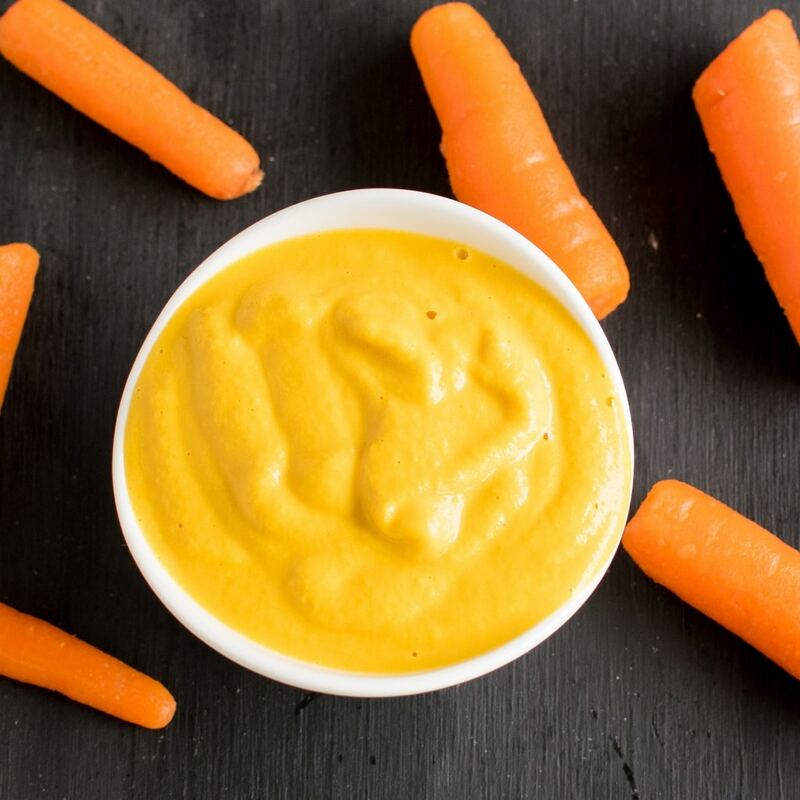 In a blender I combined some fresh baby carrots, cashew nuts, sugar, and unsweetened coconut milk and blended until smooth and creamy. Just before serving, generously drizzle the carrot frosting on the pancakes. These pancakes were a delight and was consumed within minutes on a wonderful Sunday morning. It is true that caffeine is not for kids but a little amount on special occasion is harmless. If you still want to trade chocolate with coffee I am completely up for it. I would still insists that grown – ups should pair their coffee quinoa pancakes with carrot frosting. It would make your Eater morning more fun along with being a complete delicious satisfactory. Dissolve coffee powder in 2 tbsp. water and keep it aside. In a large mixing bowl combine all the dry ingredients ( quinoa flour, cinnamon, baking powder and salt). 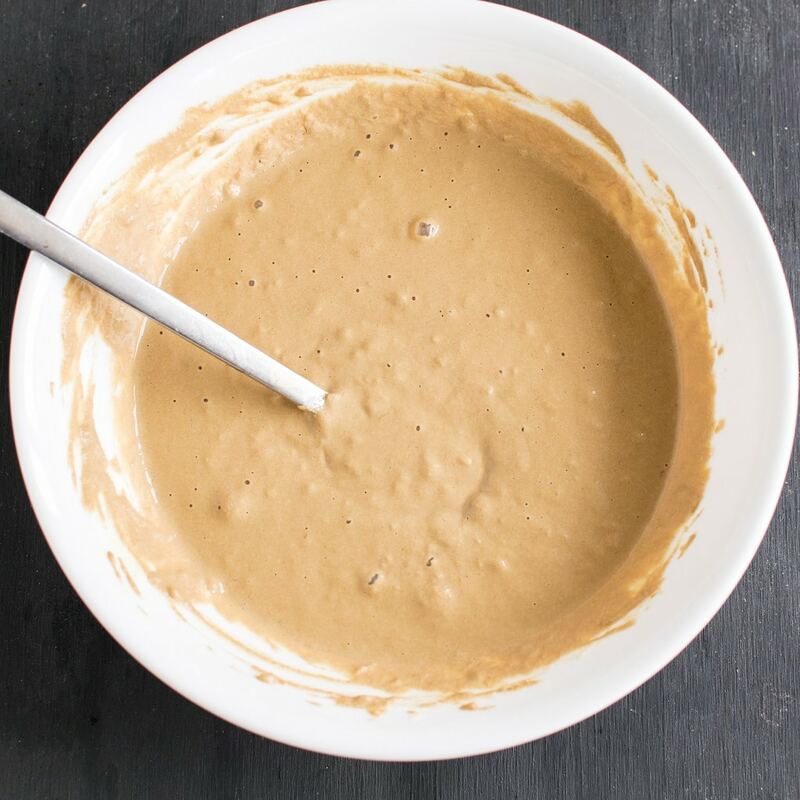 In another bowl combine mashed banana, dissolved coffee, vanilla extract, coconut milk and maple syrup. Now, add dry ingredients to the wet ingredients and whip it well. Let it stand for a minute. In the meanwhile, pour boiling water on cashew nuts and let sit for few minutes. While the pancakes are cooking, drain the cashew nuts. In a blender combine all the ingredients of frosting including the drained cashew nuts. Blend smooth until creamy. Keep it aside. Stack the pancakes in a serving plate and cover them with the frosting. Enjoy!!! This recipe makes 6 pancakes and the serving is 2 pancakes per person. Quinoa flour has its own strong flavor. When it is mixed with coffee these pancake may have a strong and prominent flavor of the ingredients. These pancakes many not taste very smooth for many depending on the preference of taste. Talk about the perfect Easter brunch recipe! I love the idea of adding coffee to the pancakes — brilliant! Thanks for sharing. Yum! This is like a combination of pancakes and cake, a perfect way to start the day! Oh my…count me in for quinoa pancakes! I love quinoa, and these pancakes are perfect for Easter brunch. I’ve been looking for a dairy-free pancake recipe! Can’t wait to try these as my wife has recently had to stop eating all dairy products, and finding a good pancake substitute has been hard! Now this is a unique breakfast recipe for sure! I love carrot frosting on the top, would make a great Easter breakfast. This is a such a creative recipe! I’ve used coffee in gingerbread pancakes before. Interested to try this. Everything about this is so unique – what a great twist on normal pancakes. I’d love to try some quinoa pancakes; adding this to our list for next weekend.